Is anyone else as excited about celebrating the release of ‘One With You’ this coming week?! 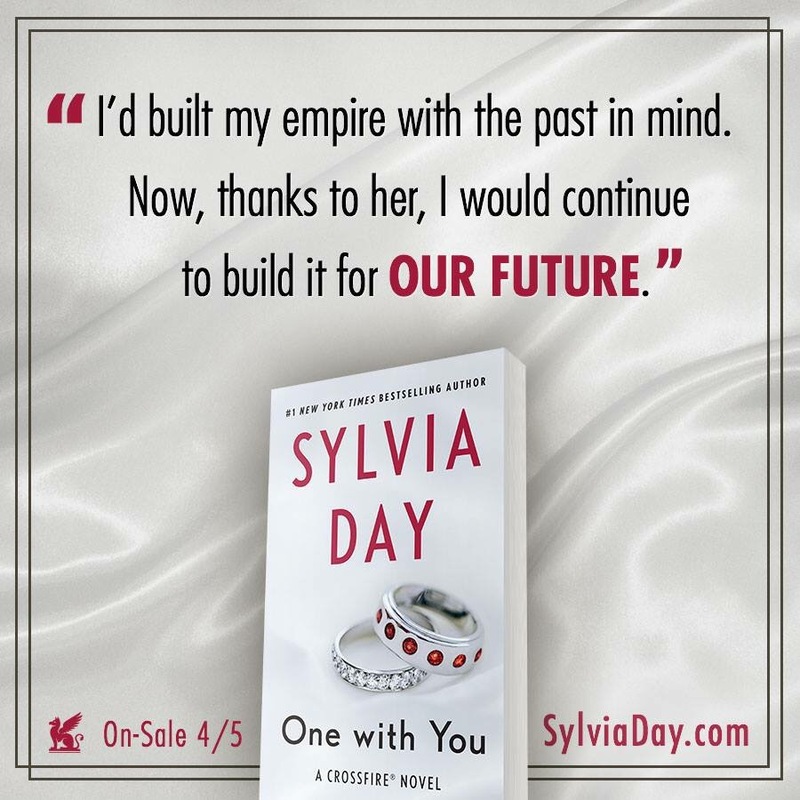 ‘One With You’ is the final book in the ‘Crossfire’ series by Author Sylvia Day, which has swooned audiences and left us anxiously anticipating the final chapters in the love story between Gideon And Eva. Over 17 Million readers worldwide have fallen in love with the ‘Crossfire’ series and we, yes WE (I include myself on that), are on pins and needles awaiting the closure of this captivating love story. With just 6 days left to go… On April 5th the ‘One With You‘ suspense will be over, as it will be available in paperback, ebook and audiobook. The series to which, ‘One With You‘ belongs, ‘Crossfire‘ has more then 13 million English-language copies in print and has been acquired by Lionsgate Televsion, for a TV adaptation… So if you are a fan who wants more Cross, he will probably be making his way to your home screen very soon! There is just something so captivating to women about that journey to find love and the unexpected path life will probably take you on to get there.. And that is exactly what Day has tapped into with this series. It’s the love you always thought you wanted, but it’s tainted with a bit of pain, a complicated past and a questionable future.. But it’s still LOVE, and some passionate one at that!